Graphic, punchy and bold, if you’ve been looking for a statement rug for your home, your search is over. In a deep charcoal grey with a bold green geometric pattern, our Prism Rug in Charcoal Green adds instant wow factor. 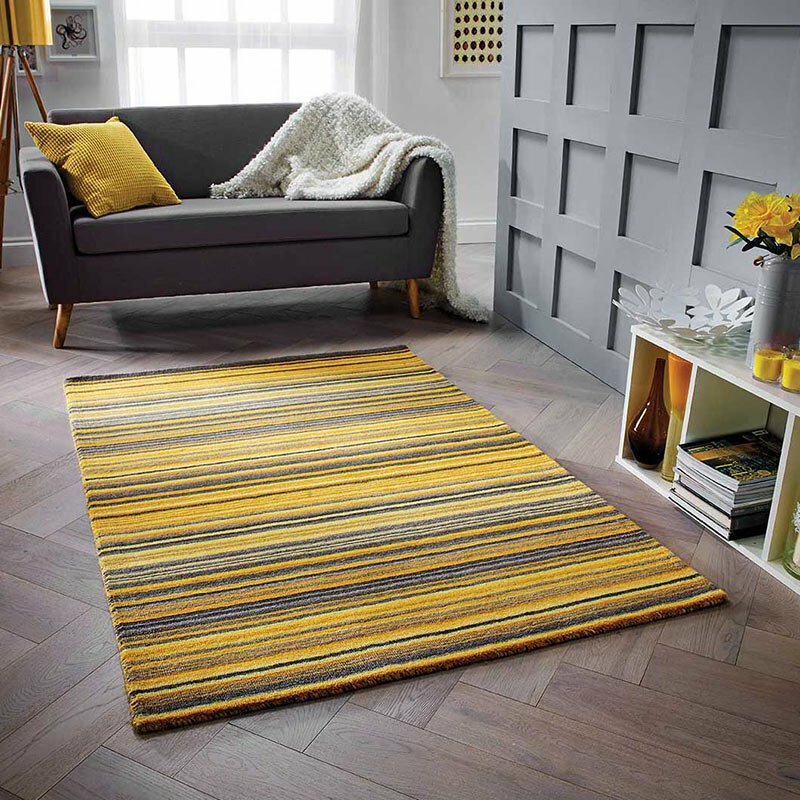 Available in three sizes, the rug has been hand woven and is made from a mix of fine materials for premium quality. The graphic design looks truly striking in contemporary homes, and looks especially impressive when contrasting against otherwise simple interiors. Try in the dining room to add an energetic feel, or in your home office to inspire creative thinking.